Home: Articles: Special Features: Resurrection Day! The men said to them, "Why are you looking for a living person here? This is a place for dead people (Luke 24:5). He has risen from death! He is not here. Look, here is the place they put him when he was dead (Mark 16:6). Jesus is not here. He has risen from death. Do you remember what he said in Galilee? He said the Son of Man must be handed over to the control of sinful men, be killed on a cross, and rise from death on the third day (Luke 24:6-7). "Now go and tell his followers. And be sure to tell Peter. Tell them, �Jesus is going into Galilee and will be there before you come. You will see him there, as he told you before'" (Mark 16:7). When Simon Peter finally reached the tomb, he went in and saw the pieces of linen lying there. He also saw the cloth that had been around Jesus' head. It was folded up and laid in a different place from the pieces of linen. Then the other follower went in�the one who had reached the tomb first. He saw what had happened and believed. (These followers did not yet understand from the Scriptures that Jesus must rise from death.) Then the followers went back home. Jesus said to her, "You don't need to hold on to me! I have not yet gone back up to the Father. But go to my followers and tell them this: �I am going back to my Father and your Father. I am going back to my God and your God.'" They said, "It's about Jesus, the one from Nazareth. To God and to all the people he was a great prophet. He said and did many powerful things. But our leaders and the leading priests handed him over to be judged and killed. They nailed him to a cross. We were hoping that he would be the one to free Israel. But then all this happened. "And now something else: It has been three days since he was killed, but today some of our women told us an amazing thing. Early this morning they went to the tomb where the body of Jesus was laid. But they did not find his body there. They came and told us they had seen some angels in a vision. The angels told them Jesus was alive! So some of our group went to the tomb too. It was just like the women said. 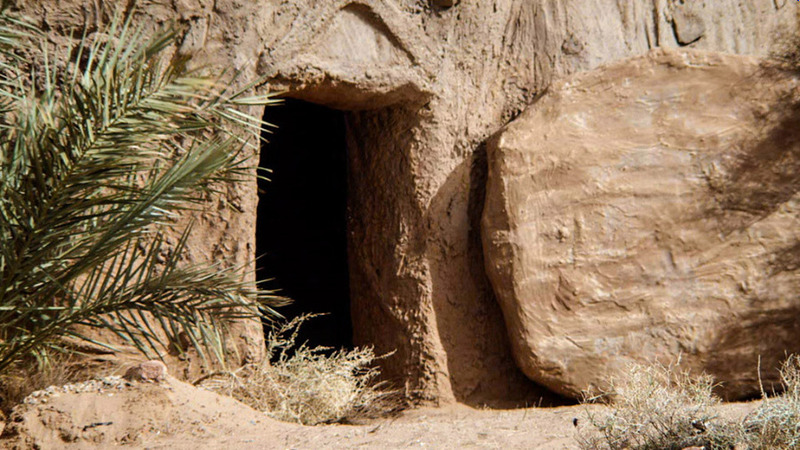 They saw the tomb, but they did not see Jesus." This is from a harmmony of the Gospels called, The Life & Teachings of Jesus of Nazareth, graciously made available through World Bible Translation Center and from Holy Bible: Easy-to-Read Version. "Resurrection Day!" by The Life & Teachings of Jesus of Nazareth is licensed under a Creative Commons License. Heartlight encourages you to share this material with others in church bulletins, personal emails and other non-commercial uses. Please see our Usage Guidelines for more information.